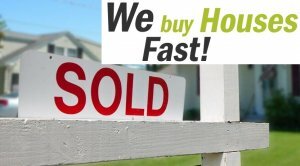 We Buy Houses Fast In Dallas/Fort Worth! We Buy Houses In Los Angeles Too! NoFees. NoCommissions. Put More Cash In Your Pocket. We Buy Houses in Dallas/Fort Worth, Los Angeles And Surrounding Areas Fast & For Cash! We’re Ready To Give You A Fair Offer For Your House! Is it safe to assume that you have at some point wondered, “how do I sell my house fast in Dallas and Surrounding Areas”? If so, you have found the solution you have been searching for! That solution is JMC Property Group. Our process ensures that you get your home sold when you want it, and with no need to learn the nuances and navigate the pitfalls of the California real estate market or the Texas real estate market. Selling your home through the traditional method can take a very long time. Many people attempting to sell their home quickly on the market are truly surprised by what an ordeal it really is. They are usually even more surprised by how much the fees and real estate agent expenses eat into the proceeds from selling the home. For many Texas and California residents, selling a house without a realtor is the way to go. If you want to sell your Dallas/Fort Worth, Los Angeles and Surrounding Areas house fast… We are ready to give you a fair all-cash offer. Click Here or Call Us Now at (972)734-1820. Stop the frustration of your unwanted property. Let us buy your Dallas and Surrounding Areas house now, regardless of condition. Are you facing any of these situations? It doesn’t matter what your situation is, JMC Property Group can help! Basically, if you have a property and need to sell it… we’d like to make you a fair cash offer and close on it when you’re ready to sell. Why Do Home Owners Choose JMC Property Group? They need a professional and fast solution. They don’t have the extra cash to pay all kinds of fees like real estate agent fees, inspections, closing fees, etc. They just want out of the headache this house is giving them … and they’ve found that we can help them. We can help you too and are just a phone call away. (972)362-6420. We provide honest solutions for Texas and California investment property sellers who need to sell fast and investors looking to grow their real estate investment portfolios for better returns. JMC Property Group is one of the top real estate investing groups because we focus on doing things right. We specialize in buying distressed properties (multi-family, commercial, retail, single family, bank REO’s, sellers who need to sell fast)… and working with property sellers who just can’t sell the traditional route through a real estate agent. We also come across many distressed single family Dallas/Fort Worth and Los Angeles Area properties because of our relationships in the market and secure those properties at substantial discounts. Many people call these properties fixer uppers or “handyman specials”. Because of our very effective marketing programs, we’re able to get investment property deals in Dallas/Fort Worth and Los Angeles that most other investors never even hear about. 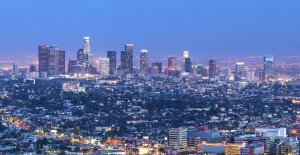 Los Angeles Investors: Please CLICK HERE to enter your information and we’ll send you the handyman and discount properties we currently have available. (Our list is updated 2-3 times a week, as we secure new properties and as we sell ones already on the list). Get Access To Our Texas Property Alerts And Current Discount Handyman Property Deals Below. Our Early Alert Property Buyers list gets first access to Texas and California investment properties for sale before we list them on our website. Also, we work with qualified local investors who want to leverage real estate to help you diversify your portfolio and earn solid returns. From buying Dallas/Fort Worth and Los Angeles Area rental properties from us, to joint venturing with us on real estate projects, to debt investors looking for a consistent return… we options that you may be interested in.